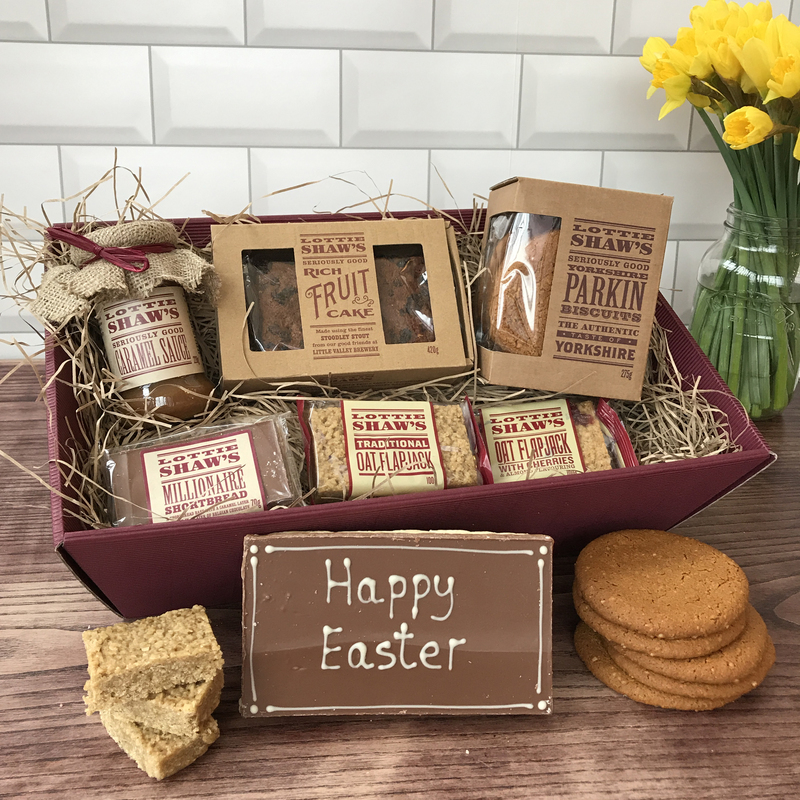 Our Happy Easter Treat Hamper is a great gift for everyone at Easter, full of lots of wonderful sweet treats. A Belgian Chocolate Tiffin slice made with our award winning ginger biscuits. A large millionaire shortbread smothered in Belgian chocolate and piped with Happy Easter in white chocolate on top. All of our products may contain some Allergens. We have sourced sustainable packaging so the outer boxes can be recycled. All our products have at least three months shelf life from baking so there is plenty of time to enjoy this gift.